With the advent of robotics and drones it has become possible for defense forces to aim at specific targets from miles afar without engaging military troops and risking lives. 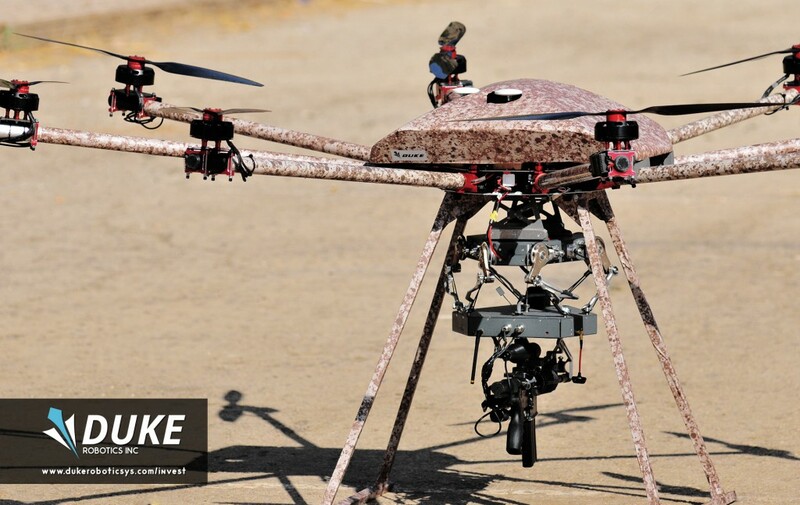 Duke Robotics, a startup founded by veterans of the Israel Defense Forces has designed a multi-rotor sniper drone, called ‘TIKAD’, capable of carrying variety of weapons such as sniper rifles, grenade launchers, machine guns, etc. Unlike, big drones like Predator or Reaper drones that can remain airborne for a good amount of time and can hit or blow-up a large area risking civilian and collateral damage. 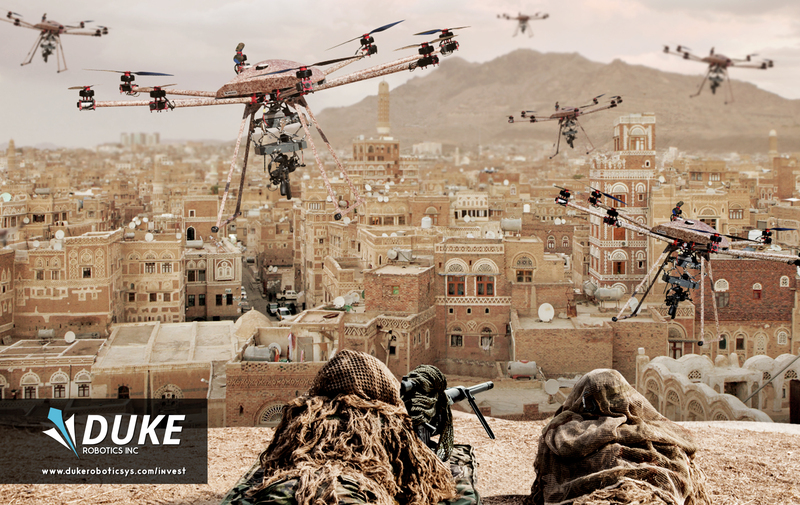 ‘TIKAD’ drone, surpasses all these shortcomings and is capable of targeting individual enemy with impeccable accuracy even in crowded areas without risking the lives around. 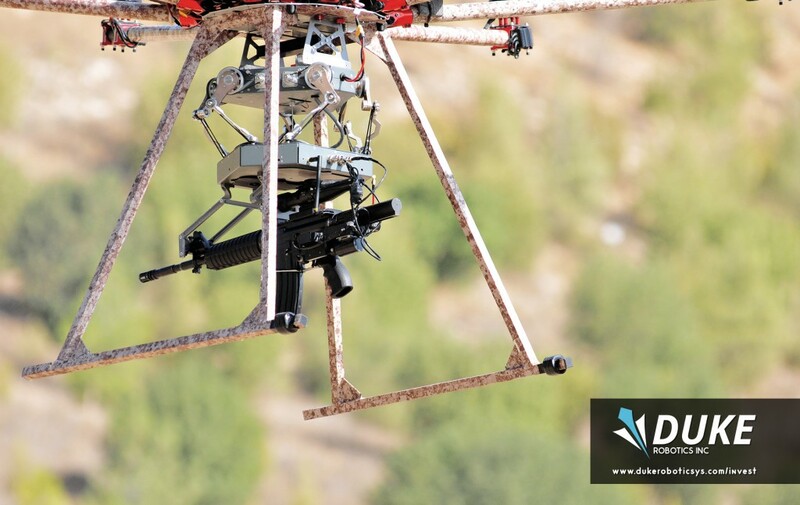 With a good flight time and capability of carrying array of different weapons, one of TIKAD’s salient features include a real time robotic gimbal enabling it to absorb shockwave with each gunshot and stabilizing the weapon regardless of any weather conditions. Also, its gimbal can bear weapons, thrice its weight making it more efficient and reliable during the times of war. Over and above this, TIKAD is a human-operated drone which leaves the decision-making in human hands and thus makes it safer for use than automated system which may go out of human control. But TIKAD drone does have the potential to replace human soldier in urban combat. Thus, the makers have aptly termed it as ‘The Future Soldier’. The slogan of the startup, Duke Robotics Inc., – ‘No Boots on the Ground’ vividly elucidates its foresight of modern warfare. It is seen that until now no nation has bestowed the power or right to go lethal to any of the autonomous robots or drones as a military weapon on any battlefield, though technically capable. The demands for recent ban on autonomous killer robots by Tesla’s Elon Musk and 116 other business leaders hint at the bigger threat posed by them, that otherwise could trigger the ‘Third Revolution in Warfare’. Another stalwart to point out this danger is Jack Ma who says AI could set off the ‘Third World War’. Interestingly, Duke Robotics visualizes militaries someday using swarms of TIKAD drones clearing the way for human soldiers by eliminating targets. It is said that Israel Defense Ministry has placed some initial orders for these sniper drones and the startup has even pitched it to the Pentagon.